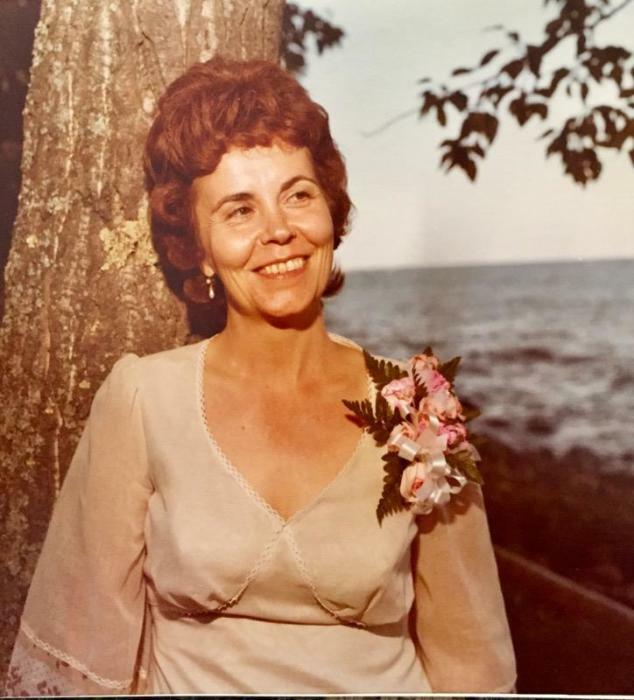 Jenny Hanson, 82, formerly of Silver Bay, went to be with her Lord and Savior on Monday, February 11, 2019 at Benedictine Health Center in Duluth. She was born on August 21, 1936 to Joseph and Edith (Peterson) Betzler Sr. in Two Harbors. Jenny grew up in Beaver Bay, one of the founding families of Beaver Bay, attended schools there and in Two Harbors. On December 19, 1953 she married Charles Heinzen and they raised their family of 4 daughters in Silver Bay. After Chuck’s passing in 2004, she married Mervel Hanson on December 15, 2006, and they enjoyed several years together until his death in 2014. On Valentine’s Day 2017 she married Albert Lopez. She was a member of the United Protestant Church and a member and past officer of the VFW Auxiliary Post #6204. Jenny also volunteered with North Shore Horizons. Jenny enjoyed sewing, the outdoors, Bible studies, and more than all, time with family. In addition to her parents and two husbands, she was preceded in death by a daughter, Sandy Bissell; and brothers and sisters. Jenny is survived by her husband, Al Lopez and his family; daughters, Gina (James Hoberg) Heinzen, Teresa (Earl) Lowrie, Brenda (Warren) Turman; a sister, Karen “Mae” Rautio; 15 grandchildren, 17 great-grandchildren; and many nieces and nephews. Memorials are preferred to the ALS Society. A memorial service will be held at 11 AM on Saturday, February 16, 2019 at the United Protestant Church of Silver Bay.